Minerva McGonagall is a fictional character in Harry Potter. She’s the headmistress of the Gryffindor House. She’s a severe looking woman who wears a green robe, pointy hat and can transform herself into a grey tabby cat. She’s known as Professor McGonagall to all the students at Hogwarts including Harry Potter, Hermione and Ron Weasley. Professor McGonagall taught Transfiguration magic. Minerva is also in the movie Fantastic Beasts – The Crimes of Grindelwald. 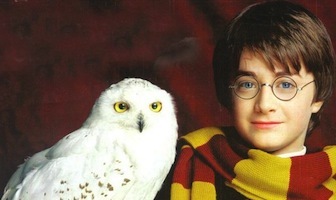 Click here to find more Harry Potter costume ideas. 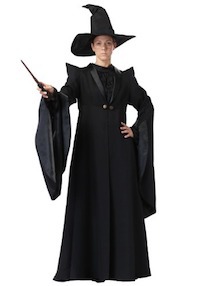 Find Harry Potter Professor Minerva McGonagall costume ideas below. McGonagall costume is best paired with Dumbledore, Harry Potter, and Hermione Granger. This deluxe costume features a rich black robe with smart details. The floor length robe has a deep, collared V-neck over ruched, silky black fabric. It secures under the neck with gold button loop. The sleeves are dramatic, forming to a point at the shoulders and flaring at the wrist with a leathery finish. This Halloween, you’ll love wearing this powerful McGonagall ensemble. 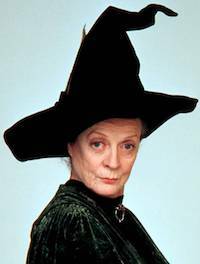 McGonagall is fiercely loyal, finely trained, and a ferocious opponent of the forces of evil. Now you can become the best witch in the wizarding world, the (inarguably) best head of house, and the best Transfiguration professor out there just by donning this McGonagall Hat. With its internal size adjuster, this feathered cap can turn anyone into the seemingly cold bit deeply caring lady of Hogwarts castle, regardless of the size of their noggin. Sadly, however, this hat cannot turn you into a black cat. 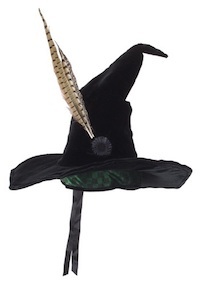 Click here to get Harry Potter Minerva McGongall Costume Hat. This is a good costume idea for your kid to dress up as Professor McGonagall. This hand painted wand, as seen in the Harry Potter films, is an authentic replica of the screen-used model used by Professor McGonagall. It ships with the matching name clip in beautiful collector’s box. 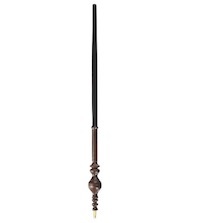 Click here to get the Harry Potter Minerva McGonagall wand. Minerva is often seen wearing an elegant green robe. You can recreate her look with this cosplay robe. The closest you can get to having Professor McGonagall in your house! 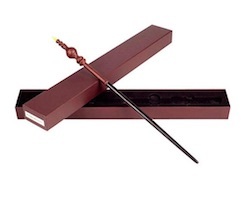 Replica wand looks like the one in the film and comes with a great wand box for storage. Click here to get Harry Potter Minerva McGonagall’s wand. 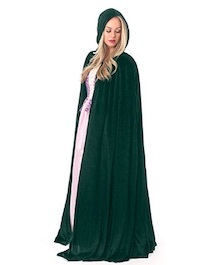 Full Length Velvet Hood & Cloak/Cape for Adults is perfect to look like Professor McGonagall. 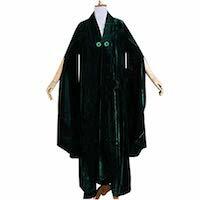 This long hooded cloak help you look like Professor Minerva McGonagall in Harry Potter. 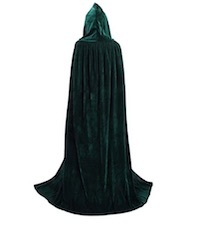 Click here to get Harry Potter Professor McGonagall Emerald Cloak.